As I have grown as a middle and secondary teacher in an urban district, my instructional strategies and emphases have shifted dramatically as I have adapted to the needs of my student population. While I believe in the absolute importance of authentic learning and hands-on experiences, these activities are meaningless if students are not fully engaged in developing their understandings and truly taking ownership of their learning. Since this realization, I have shifted the focus in my classrooms to demand greater student investment in their learning while also allowing for more student autonomy and collaboration in the carrying out of class activities. I frequently discuss how to motivate my particular students and encourage a growth mindset that develops the grit and persistence many of my students are lacking. I have restructured my units and learning activities to reduce the amount of time spent on whole-class instruction. Students work in small groups to accomplish learning tasks that feed into the weekly success criteria and larger unit standards. Student groups may work at their own pace – remaining at a center or station task until they have completed the assigned work and feel comfortable in their mastery of the material – or they may rotate after designated time limits but have the opportunity to return to unfinished work at a later time. While I begin each lesson with a discussion of the success criteria and some sort of engagement activity or phenomena observation, students move into groups for the bulk of the lesson. I wrap up with the “work in progress” activity to assist in synthesizing learning, addressing the unit standards, and correcting student misconceptions. These activities prepare students for the culminating unit task or project. In all of the units I design, students work to develop their understanding by engaging in activities whereby they make their own meaning from resources and materials. Each station activity presents students with information but requires them to organize, classify, match, connect, evaluate, etc. the information provided. Information is presented in many forms – students may examine images, 3D models, infographics, data tables/graphs, text excerpts, etc. 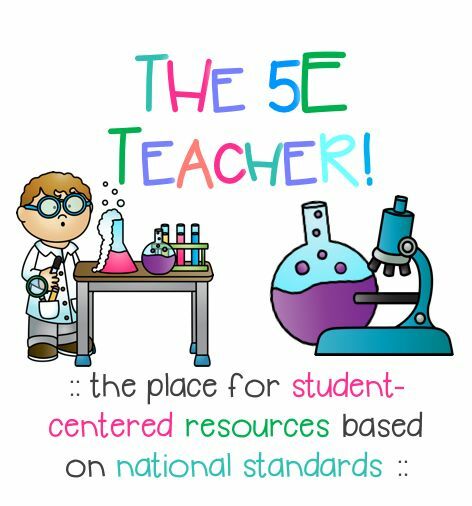 Stations are organized along the 5E model — at Explore stations, students may be asked to compare and contrast, put into their own words, or connect to their previous learning or life experiences. Students may examine data about the age of rocks on Earth, Mars, the Moon, and asteroids to make guesses about when certain events happened, constructing explanations from the evidence. They may read short summaries of varying theories on how the moon formed and identify the reasoning or evidence provided, as Ill as some potential drawbacks to the theory. At Explain stations, my students may use information from an infographic, as Ill as models of the relative sizes of planets, to create a simple model in their notebook that shows the structure of the solar system. They may use one of the five iPads I share to collect information from NASA, watch videos from Khan Academy, or participate in virtual labs from BioInteractive – “rewinding” or “redoing” until they actually understand the material. Students build their own explanations from these activities, compiling the information they have learned in their “work in progress” notebooks. In Elaborate activities, students stretch their knowledge and incorporate other disciplines to build on and improve their understanding of content material and engage in additional science practices. Students are constantly Evaluating their own understanding, participating in “Teacher Checks” where students explain their ideas and conclusions, as well as “Self Checks” where students can visit Help Stations. Students are also evaluated formally through quizzes, exams, and projects/tasks. Since implementing this new instructional approach, I have found my students to be much more engaged and motivated to participate in activities and develop their own learning. Students are no longer rushing through their work or doing the bare minimum to get the grade they want. Students are no longer copying their neighbor or simply not participating at all. I have observed my students truly exploring materials, digging deeper for connections, and taking the time to “figure things out.” By working in groups and assisting each other, students have demonstrated greater perseverance when challenged and have learned to build on each other’s understandings. They have also come to a greater awareness of the concepts of evidence and reasoning. For most of their education, students were given claims and expected to accept them as truth. Since I implemented the NGSS to focus not just on explaining science phenomena but also using evidence to prove it, students are asking questions like, “How do I know?” They are learning to identify evidence and even to evaluate it, so that they may better use it in the future.